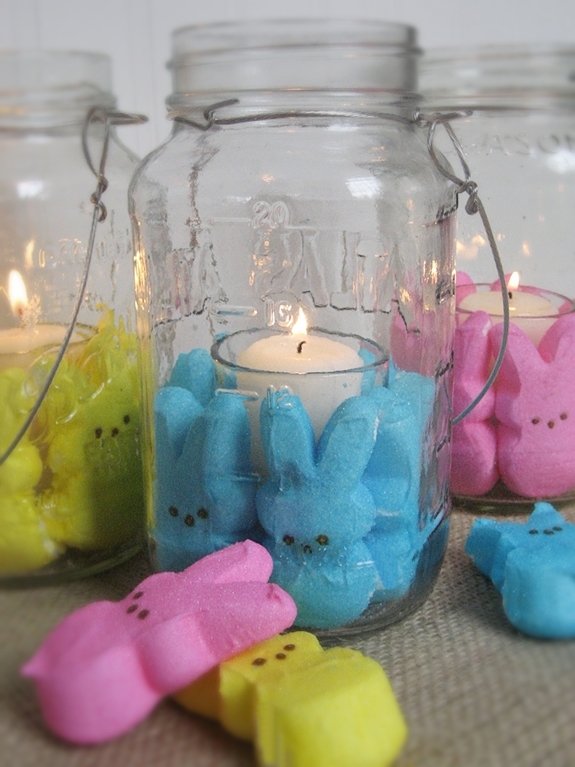 Sure, you've heard of turning upcycled glass jars into lanterns, but have you ever considered adding Peeps? Use a pack of colorful Peeps to add instant Easter flavor to decorative lights. Or turn one into a bunny vase. As you begin your spring cleaning, take a moment to salvage these toss-able items, to start spring greening. 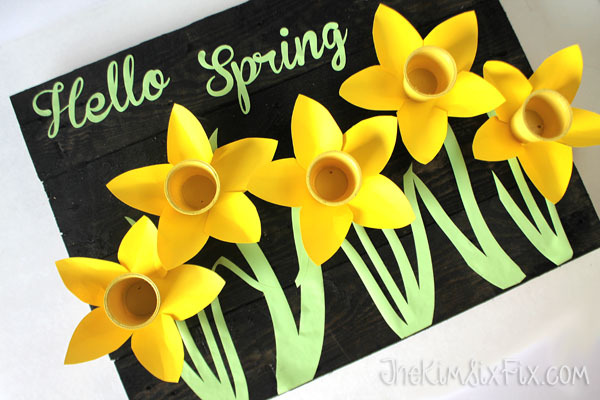 Before you get rid of your stained ties or extra clothespins, take a look at all the spring-alicious Easter decoration you can create with them! Don't you hate throwing out those plastic K-Cups? Well, start saving them up, for a sweet spring greeting sign to bring color to your holiday home. 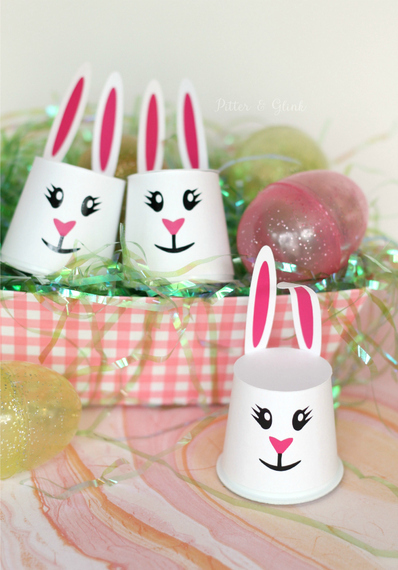 If you're looking for some detail to add to your Easter mantel or tablescape, K-Cups can be turned into adorable bunnies. 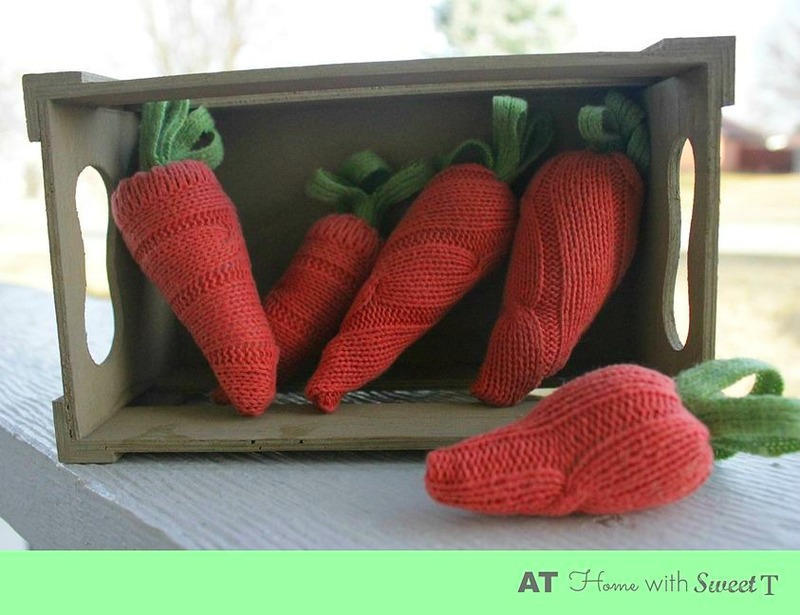 Add a few to your Easter baskets as a fun surprise! Now that it's starting to warm up, you're probably considering which sweaters to store for next year and which to toss. Make sure to save some textured material for these mini spring carrots. 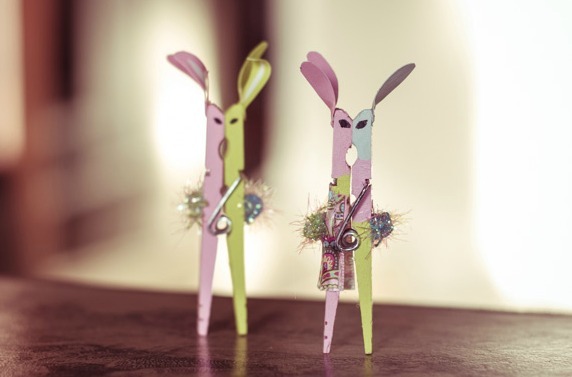 While you're refreshing your household items, save any old clothespins you come across for this unique Easter decoration. A troupe of waltzing Easter bunnies will look great pinned to baskets or dancing across your tablescape. You've never seen an Easter egg decorating method quite like this. 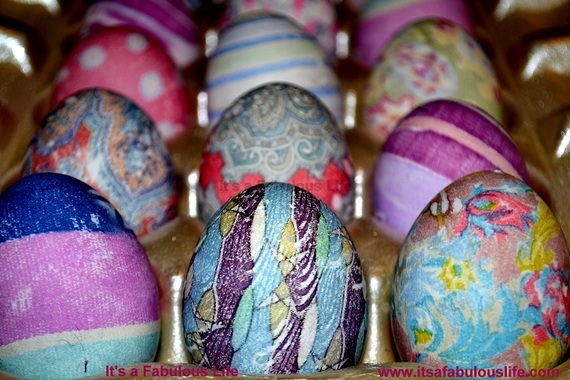 Use the silky design on old ties to dye your Easter eggs with intricate and elegant colors and patterns. Here's how! Sure, you've heard of turning upcycled glass jars into lanterns, but have you ever considered adding Peeps? Use a pack of colorful Peeps to add instant Easter flavor to decorative lights. Create more space for tulips and daffodils, by upcycling a tall, empty glass jar into an Easter vase. 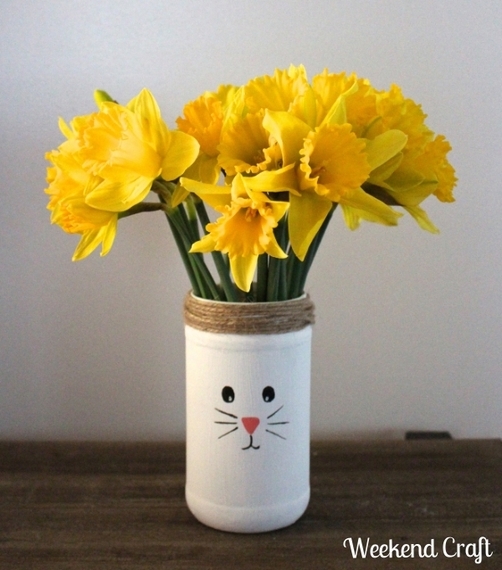 Add a little extra character, by giving your jar a coat of white paint and a sweet bunny face. 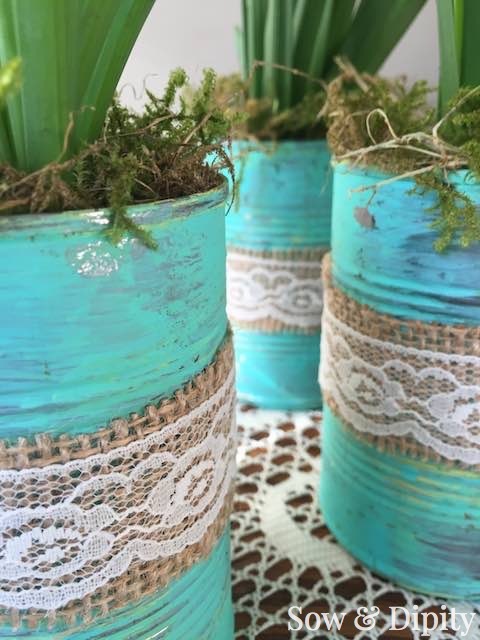 Turn empty tin cans into rustic outdoor decoration, perfect for embellishing an Easter tablescape with fresh blooms, or giving as spring gifts to guests and visitors. For more Easter decorating ideas, make sure to check out all the ideas, inspirations, and how-to's at Hometalk!